Eager for a successful recycling program at their new location, Green Team students at the Children’s Institute for Learning Differences (CHILD) in Renton did some research. 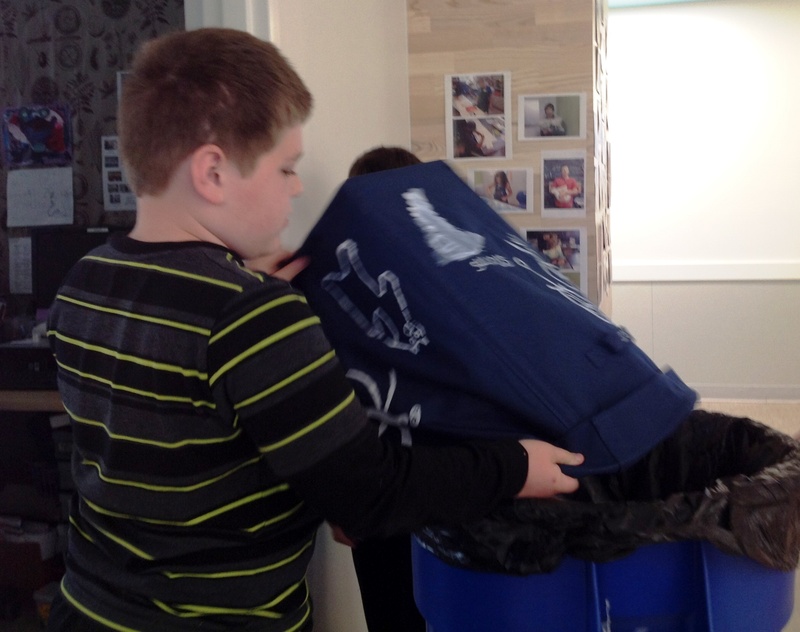 They used what they learned about the benefits of recycling to their community and the environment and created an advertising project to announce the school’s new recycling program. The project combined art, games, and public service announcements. 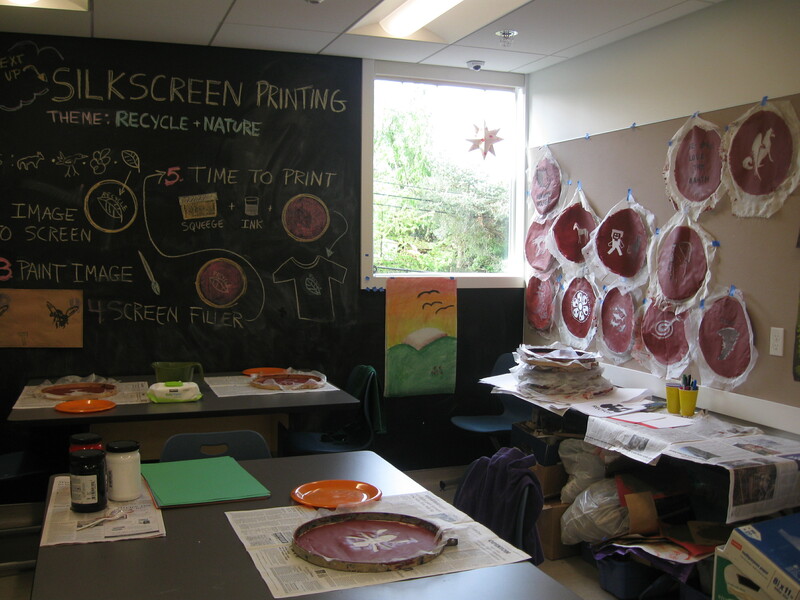 In the art project, each student created an image on the theme “Recycle + Nature.” They then transferred these images onto tee-shirts for themselves and family members, and onto flags which were hung about the school’s campus. Some images were transferred onto canvas bags to be used for the collection recyclables at school. The bags were funded by a Green Team mini-grant from the King County Solid Waste Division. Students also designed games and produced two PSAs to show their peers and teachers how to recycle correctly. All of these actions have together produced a noticeable decrease in solid waste and an increase in recycling. Students have gained a greater understanding of ecological systems, the impact of waste, and also the positive impact their actions can have in reducing in managing that waste for a more sustainable planet. This team of young leaders in sustainability was led by teacher Denise Vogel.